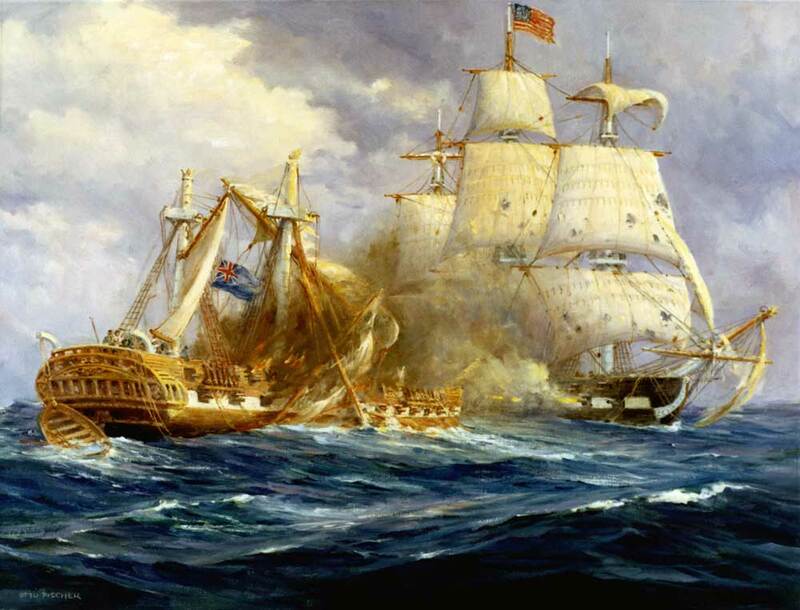 With war fervor building between the United States and France, President Adams decided to build a navy and give it the task of protecting American ships and attacking French privateers. The Navy was officially established in 1798. Four large frigates, which had been originally authorized by Congress in 1794, were rushed to completion. They were the "Constellation," the "United States," the "Chesapeake" and the "President." They represented the very best in ship design, combining speed and firepower. In addition, cities throughout the eastern seaboard built ships for the government, at their own expense. By 1800, the US Navy was fielding a fleet of 49 warships of various sizes. Furthermore, over 100 merchant vessels were armed and authorized not only to defend themselves, but to take aggressive actions when possible.